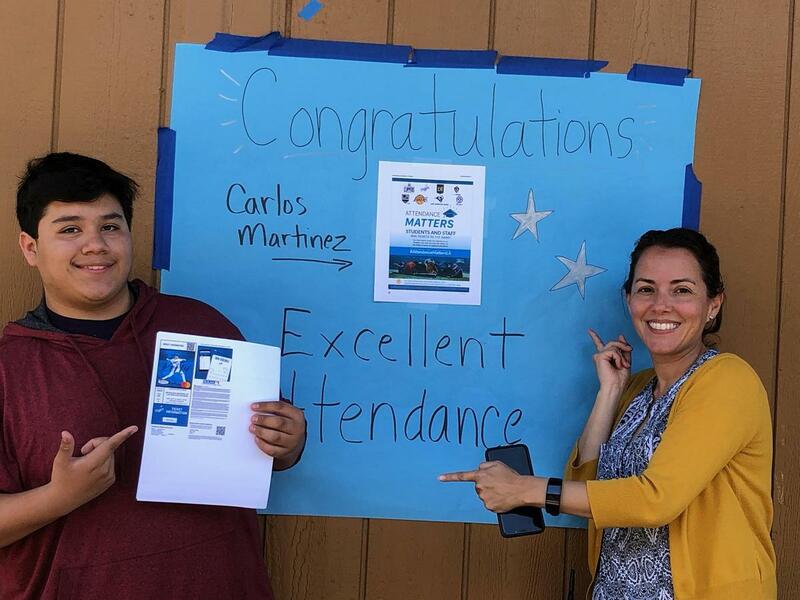 For the month of March, students demonstrating Excellent attendance were entered in a District-wide opportunity drawing to win game tickets to the Dodgers vs. Brewers game scheduled for Sunday, April 14th. We are excited to announce that Carlos M. is the winner of 2 tickets to the Dodgers game. 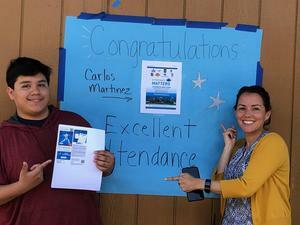 We are so proud of Carlos' excellent attendance and commitment to his future success! Student attendance is a top priority in LAUSD. As high school students, your future success begins with showing up to school every day. Students and staff with improved or excellent attendance are entered into a randomized opportunity drawing to win various prizes. Be sure to be here every day to qualify to be entered into the next drawing.